Katy's has once again been busy decorating two Christmas trees with all the Christmas ornaments she's collected over the years -- more ornaments than will fit on a single tree. Like many other singers, Katy and I are both been looking forward to the December 10th gathering of the Shiloh Singers to celebrate completion of another year of singing Sacred Harp music and munching on Christmas cookies and other delights at the 1:30 P.M. singing in the Shiloh Museum's General Store in Springdale. This is the usual short December reminder. The usual early arrivals will gather at the Springdale AQ Chicken House only a few blocks from the museum around noon. Just ask for directions to the singers at the front desk and they'll point you in the right directions. All singers and their guests are invited. You are also invited to bring a few extra Christmas cookies, apple cider or a few slices of fruitcake to go with the coffee during the break or after the singing. Doing fairly well. Just going to therapy, eating well and letting the bones heal at their own pace. ...My physical therapist had to remind me that it's just been six and a half weeks since the accident. I'm just being human in wanting it to be finished! But the body heals at it's own rate, not according to my wishes. Some afternoons I'll call up YouTube on my brother's big screen TV and sing along with the Missouri, Ireland or Texas singers. Holding out some of those long notes helps with breathing! Music therapy! I'd imagine it'll be January before I can sing with everyone again, at the earliest. That's what I know for now. I'm sure we'll all rejoice when Bill can sing with us again. And as a final word, thanks to everyone who contributed to the Shiloh Singers in so many different ways during the past year. It would take all afternoon to list everything and everyone from several states and even then, I'm afraid that with my fading memory I'd leave someone out. Still, thanks are due for adding your voice to our group and for your support to continue the tradition of Sacred Harp singing in the Ozarks. Please also add my personal thanks for the emails and pictures which during the year found their way into portions of the newsletter and website. Hope to see you at the December singing! Andrew Albers leads at Murrell Home. This edition of the newsletter was supposed to be short, but I did want to send a reminder about singing this Sunday, 11/12/17, at the General Store on the grounds of the Shiloh Museum of Ozark History from 1:30 until 4:00 P.M. As usual, bring a friend. If you arrive early, look for a few singers that gather "around noon" at AQ Chicken House in Springdale for lunch. It's a good time to relax with friends and catch up on all the news. Taking things in order, thanks to all the singers who turned out for the singing at the historic Murrell Home on October 8th in Park Hill, OK. 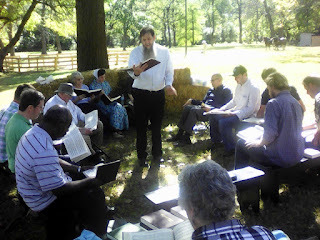 There was a good old-fashioned outdoor church service before noon and we sang after a short break for lunch. There's something different about singing under trees and a blue sky. Thanks to the Murrell Home for the invitation. I hope everyone - both young and old enjoyed the experience. Smaller singers liked the big horses. However, after Katy and I got home from a late season trip to Yellowstone's early snow, as far west as the Sawtooth range and following the big mountains south to New Mexico, we found out that Bill Caldwell had been involved in a multiple car accident on the way back to Joplin from the Murrell Home singing. The best news is that Bill's on the mend and singing Sacred Harp tunes along with YouTube videos to help his recovery. We'll have a get well card at Sunday's singing for everyone there to sign. Please keep Bill in our prayers for his quick recovery and thankfulness for his eventual return to sing with us again. Thanks also to all the singers who joined together on October 21st for the Annual NWA Fall Singing at the Northwest Technical Institute in Springdale. Special thinks to Alexis Walker, who made the arrangements with NTI for singing and Darryl Criss who helped wrangle the books and other logistics, and all the cooks who brought their special contributions for the pot luck lunch. I'm sure your efforts were appreciated. One more thing: Tomorrow, November 11th is shown on my calendar as "Veteran's Day." Originally called Armistice Day, it celebrated the 11th hour of the 11th day of the 11th month of 1918 when a cessation of hostilities was declared between the Allied Nations and Germany that effectively ended hostilities in "the Great War," or what people solemnly called "the war to end all wars." The name was changed to Veterans Day in 1954 after WWII and the Korean War. The holiday now honors all American veterans - living or dead - who did their duty to protect and defend their country during war or peacetime, a reminder of a duty that we all share at home or abroad. "Oops!" Due to circumstances beyond our control, the Sacred Harp Singing School scheduled for Friday evening in the General Store, October 20, 2017 from 6:30 until 8:30 P.M. has been canceled. Dan Brittain will conduct an mini-school during the first hour of the NWA Fall Singing Convention on Saturday morning. New singers are still invited. Hint for any beginning singers: Sit next to an experienced singer and follow their lead. I was amazed how much and how fast I could learn that way. While I'm online with a good connection, I would like to convey the Shiloh Singers thanks to the Murrell Home staff for hosting the outdoor singing on Oct. 8th. Everything, including the hay bales were in place, we had an excellent outdoor sermon to begin the event. And a special thanks to all the singers and visitors, I counted 24 at one point, to sing or just listen. I hope everyone enjoyed the event and we'll sing together again. 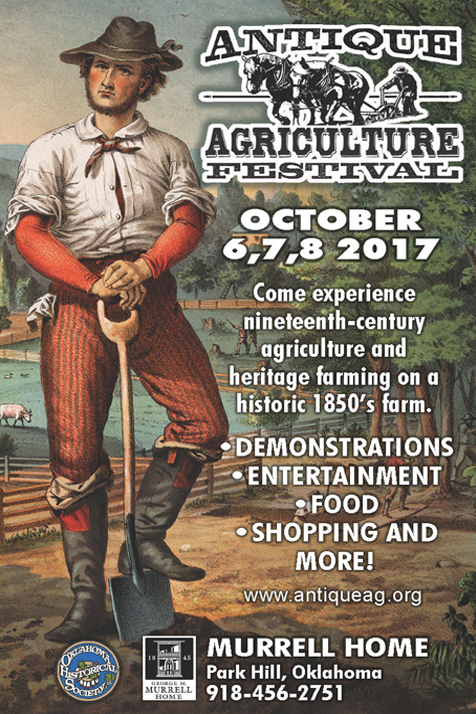 The Shiloh Singers will be conducting an old fashioned outdoor singing on Sunday, October 8, 2017, at the 2nd Annual Agriculture Festival at the Murrell Home Historic Site in Park Hill, OK. The three day festival starts on Friday October 6 with demonstrations, exhibits, entertainment, food, shopping and more. I guess the outdoor singing is more. Last year there was a pioneer church service at 11 A.M. as it might have been under the trees near the Murrell Home. After a short break for lunch and forming a square with benches, hay bales or bring your own camping chairs, the singers will conducted their regular October 8th Sunday Singing at the Murrell Home from about 12:30 until 3:30 P.M. We've just changed the location. As to directions to the park, the Oklahoma Historical Society has a well-tested directions on their Visitor Information page at: http://www.okhistory.org/sites/mhvisitor Roads, turns distances and even stop lights in some cases are provided for people traveling from Tulsa, Fayetteville and from I-40 the South. Of course, the Murrell Home is shown on GPS systems and all the major computer or smart phone maps. Just type in George M. Murrell Home, 19479 East Murrell Home Road, Park Hill, OK 74451 and look for a big white house on the south side of the road. If you really feel more comfortable with a map, click on the following link: Map-Tahlequah&MurrellHome Singers are invited to park in the parking lot on the east side of the site and use that entrance. No admission is being charged singers. As for lunch, there are several picnic tables if you wish to bring a picnic basket for lunch. Last year's a food vendor was within a 50 yards or less, or stop at a local Subway if that works on your way through Tahlequah. Suggestion: Some of us stopped for dessert after the singing in Tahlequah last year and will likely do so again after the event. What to wear? Last year we had good weather, moderate temperatures and plenty of shade. Some of the staff and exhibits were in period dress. Just be comfortable. My blue jeans and "Lil' Abner" boots should be right at home for anything agricultural. We'll try to put up our usual welcome sign on a tree or available wagon and we shouldn't be hard to find as you stroll from the parking lot into the park toward the house. If you decide to attend early church or Sunday school, don't worry. We'll still be glad to see you when you can get there. We'll start singing after the outdoor church service and forming the square from benches and hay bales at about 12:30. The NW Arkansas Fall Singing Convention is scheduled for Saturday, Oct. 21, 2017, 9:30 A.M. 3:00 P.M. Thanks and a tip of my old campaign hat to Alexis Walker who made the arrangements with the Northwest Technical Institute, 709 South Old Missouri Road, across the street from the Springdale Airport. There will also be a pot-luck lunch during the noon hour and the 3:00 P.M. ending time should let most travelers get back home in the early evening. Click the link for a REVISED map, schedule and directions. October is always seems to be a busy month for the Shiloh Singers, but it's always a lot of fun and fellowship and good singing. If you have any specific questions, send me an email at brt.black@gmail.com. Hope to sing with you soon. Items shown on the calendar are closer than they appear. This is a busy weekend at the Shiloh Museum of Ozark History. If you're a quilter, on Saturday, Sept. 9th, there's the 40th Annual Quilt Fair on the lawn between the museum and general store. The quilt fair includes a variety of quilts, and there's live entertainment by Greenland Station band. The quilt fair will be open between 10 A.M. and 2 P.M.
Second, the Shiloh Singers of NW Arkansas will be singing in the country store on Sunday afternoon, Sept 10th, starting at 1:30 and continuing until 4:00 P.M. As usual, visitors and visitors with children are invited to sit in on the session. They can just listen or they can use a "loaner" song book to follow along and hopefully even sing along. The country store is the white building east of the museum building and barn at 118 W. Johnson Avenue in Springdale. If you prefer to have lunch before singing, there's usually a table or two of singers at AQ Chicken House at 1207 N Thompson St in Springdale. Visitors are also welcome to really sit down and visit and ask questions. We try to gather around noon. Photo: Andrew Albers leads the outdoor singing under the trees at the Murrell Home in October, 2016. 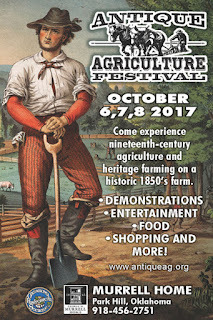 The Shiloh Singers have been invited again to have an old fashioned outdoor singing at the 2nd Annual Agriculture Festival at the Murrell Home Historic Site in Park Hill, OK. 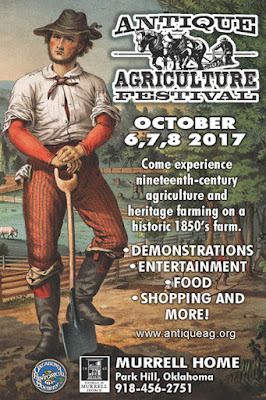 The three day festival starts on Friday October 6 with demonstrations, exhibits, entertainment, food, shopping and more. I guess the outdoor singing is more. Last year there was a pioneer church service delivered at 11 A.M. as it might have been under the trees near the Murrell Home. After a short break for lunch and forming a square with benches, hay bales or bring your own camping chairs, the singers will conducted their regular October 8th Sunday Singing at the Murrell Home from about 12:30 until 3:30 P.M. We've just changed the location. As was the case last year, singers from Oklahoma are invited to bring guests and join the fun. We enjoyed meeting singers from the Tulsa area and the Oklahoma City group that meets in Edmond on the 2nd and 4th Thursday of every month. We enjoyed meeting singers from Oklahoma, Missouri and Arkansas last year and hope to meet even more new friends and singers in the historic setting that the Murrell Home provides. Singers are also invited to explore the home and exhibits during their visit. There's a second October event we need to discuss at this Sunday's lunch and plan at the Sunday singing. The NW Arkansas Fall Singing is scheduled for Saturday, Oct. 21, 2017, 9:30 A.M. 3:00 P.M. Syd Caldwell has been planning on a Singing School on Friday evening, October 20th, before the all day Saturday singing which last year ran from 6:30 until 8:30 P.M. Both new singers and more experienced singers can benefit for the instruction in an informal environment paced to mix instruction and a warm up for the Saturday singing to follow. More details will be provided after the planning session in next month's newsletter and on the website. I know everyone has been busy. Some of our singers have many friends, fellow singers and relatives in Texas as well as Florida, Georgia and Alabama. Katy and I share your concerns. We found out about the Shiloh Singers by attending the quilt show in 2004 after we moved to Arkansas. It's a busy time but Sunday afternoon is a good time to gather, sing, enjoy the company of like-minded singers. Join us and spend an afternoon singing the old shape note songs with harmony and enthusiasm. It will do you a world of good! Hope to see you Sunday! August 13th Shiloh Singing Canceled... Outdoor Singing added in October! Goodness knows the Shiloh Singers are reluctant to cancel a scheduled singing, but the information gained from an informal survey of singers in the NWA area suggested the Shiloh Singers cancel the Shiloh Singers' August 13th monthly singing in Springdale. After we counted the survey results, it became apparent that a number of our strongest singers and regular song leaders planned to attend the 150th Annual East Texas Convention on August 12th and 13th in Henderson, TX, or other travel plans. Imagine conducting a series of singings for over a century and a half! That has to be special and not many groups can celebrate such a historic occasion. You can certainly understand why dedicated singers wanted to be there. So we will send along our best wishes to all the singers in Henderson this weekend and hope they enjoy the best singing in their 162 year history. So, the Shiloh Singers will have their next regularly scheduled singing on September 10, 2017, in the General Store of the Shiloh Museum from 1:30 P.M. until 4:00 P.M. and hope you will mark your calendar for the singing. The usual noon pre-singing lunch at AQ Chicken House in Springdale will return to the schedule as well. One of my favorite old pictures from a history book about Sacred Harp singing (which I cannot find at this moment) shows the leaders of an outdoor singing or singing school being conducted outdoors in the shade of a brush arbor. 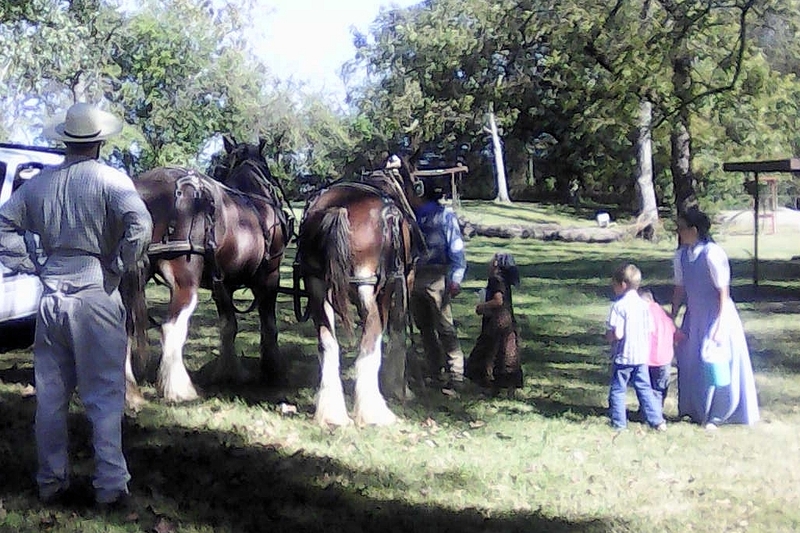 The trees at the Murrell Home grounds kept us in the shade, but the hay bales scattered around the wagon being used as a stage provided the "soft seats." I was reintroduced to just how comfortable a couple of hay bales could be from my days as a youngster when I would slip out to the horse shed make sure our old mare that was gentle enough for me to ride had plenty of water and feed. I was also known to find a couple of hay bales in the shed and take an afternoon nap. For long range planning, the Shiloh Singers will host the Annual Northwest Fall Singing in Springdale on Saturday October 21, 2017 from 9:30 until 3:00 P.M. Syd Caldwell is also working on a Friday evening Singing School for those who want to learn more about the basics of Sacred Harp. Details will follow in the September newsletter or on the Shiloh Singers webpage when available. One more random thought. The Arkansas Razorbacks are playing the Auburn Tigers in Fayetteville on Saturday, October 21st. You might want to make hotel/motel reservations in the Springdale and northward areas a little earlier than would be normal. I hope all of the travelers stay safe and hope we'll get to see you all next month. It's time for the 2017 Shape-Note Gathering! Starting with an orientation on Thursday evening, July 6, then continued on Friday, July 7, with singing seminars conducted by nationally respected instructors, and concluding with a traditional all-day singing on Saturday, July 8, in the former Mountain View High School Auditorium. Admission/Registration No admission fees or preregistration required. Participants will enter thru the front doors at the Large Auditorium Friday morning and will be given badges there to allow movement thru the park on Friday ONLY. All participants should check in and enter via the front doors at the Large Auditorium. Introduction to Shape-Note Singing concert/discussion Thursday Eve- 6 PM - 6:45 PM - White Oak Auditorium (Administration Building), Ozark Folk Center, this is an open event, no admission charge. Friday Singing and Teaching Seminar Dan Brittain and Gaylon Powell will lead singing and teaching sessions on the stage of the main auditorium at the Ozark Folk Center. The morning session will run from 9 AM to 11:30 and the afternoon session from 1:30 PM until 4. Those attending the shape-note sessions only can enter free of charge at the front entrance of the auditorium. Crafts ground visitors may come and go to the shape-note session via the rear entrance of the auditorium. 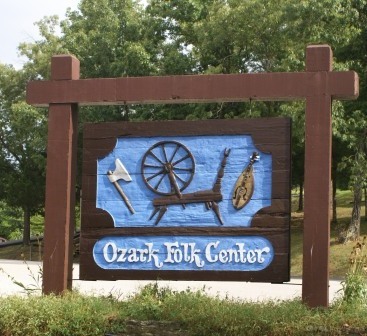 Participants in the singing will be featured as part of the performance at the Ozark Folk Center’s nightly concert. Saturday Singing A traditional singing, using both four-shape and seven-shape books will be held in the old Mountain View High School auditorium on School Avenue, one block south of East Main (the turn is between Best Drug Store and Conoco) in Mountain View. The morning session will run from 9 AM until noon and the afternoon session from 1:30 AM until 4 PM. The Saturday all-day singing is a chance for the seminar students to put what they've learned into practice and is open to anyone - young, old, new or experienced singers. Whoever wants to sit in and enjoy shape-note singing from a variety of song books is welcome. Loaner books will be available. Thanks to the Ozark Folk Center and the Stone County Historical Society for the use of their facilities. There are no admission or registration fees for the instruction. No pot luck lunch is planned for Friday or Saturday. A variety of restaurants are available in Mountain View. Several are listed on the map linked below or use your favorite search engine for more selections. If you still need motel reservations, don't wait too long. Finally, I should repeat the reminder that the Shiloh Singers of NWA will be back at the General Store on Sunday, July 9th at the Shiloh Museum of Ozark History General Store with singing from 1:30 until 4:00 PM. If you arrive early, singers and visitors are welcome to join us at AQ Chicken House on Bus. 71, just a couple of blocks north of the museum about noon for lunch and fellowship. With all the singing going on next weekend, I certainly hope you can get to a singing somewhere. I'll hope to see you there! This will be a brief reminder that the Shiloh Singers monthly singing in the General Store on the grounds of the Shiloh Museum of Ozark History this Sunday afternoon, June 11, 2017. The singing will start around 1:30 P.M. and will conclude about 4:00 P.M. Gosh it feels good to get back on normal Arkansas time! Visitors, guests, young or old who wish to learn more about Sacred Harp singing with shape notes are welcome to sit in on the session. We even have loaner books so you can follow along and if you wish, you can sing along or just pat your feet to the music. We are very informal and all are welcome. If you arrive a little early, singers and visitors are welcome to join those who meet around noon at AQ Chicken House on Business 71, officially at 1207 N Thompson St, Springdale which is only a few blocks from the Museum. Just tell the staff you're looking for the Shiloh Singers and they can usually point you in the correct direction. If you can't get to the Shape Note Gathering in Mountain View, the Shiloh Singers will be back at the General Store on Sunday, July 9th. Hope to see you at one or more of the singings in June or July. 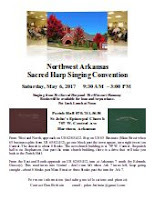 Northwest Arkansas Sacred Harp Singing Convention - Saturday, May 6, 2017 - 9:30 A.M. until 3:00 P.M. in the St. John's Episcopal Church Parish Hall, 707 W. Central Ave., Harrison, AR. A pot-luck lunch will be served so bring your prize-winning hot dish, cold dish, dessert to share. Microwave heating and refrigeration available. This singing has always been one of the highlights of each year for the Shiloh Singers. It doesn't seem to matter what the weather is - and this year the forecast is "sunny" - there always seems to be strong singers in each section to help new singers and enough food to feed all those present while everyone gets to visit with friends during the noon meal. Visitors are always welcome and loaner books are available. Hope we'll see you there. Regular May Sacred Harp Singing - Sunday afternoon, May 14, 2017 - 1:30 until 4:00 P.M. in the General Store on the grounds of the Shiloh Museum of Ozark History at 118 W. Johnson Avenue, Springdale, AR. We usually hang a large sign on the store's front porch to make it even easier to find us. Again, loaner books are available for visitors who want to sing or just tap their foot. 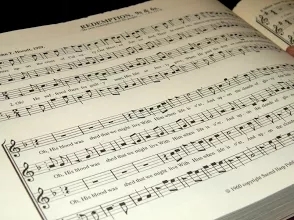 Sacred Harp singing simply celebrates and preserves a way of singing that was enjoyed by pioneer church members who didn't have pianos or organs. We have a lot of fun. While we try to keep a short calendar on the Shiloh Singers home page, we also use a special page to include more details and contact information about regional singing events in Arkansas and surrounding states. We've recently updated the page for two singings in Central and Southern Arkansas. The Saturday, May 20th Historic Washington (AR) United Methodist Church Singing has grown each year with singers from East Texas and all around Arkansas. Somehow, singing in a historic church with wooden floors and a high ceiling and moving the church pews to form the square seating arrangement for singing, produces a sound that's hard to reproduce in modern buildings. The 132nd annual "Old Folks Singing" in the Tull Community uses the Christian Harmony book in the morning and the Cokesbury Hymnal in the afternoon with dinner on the ground between the two sessions. The singing started as a "thank you" to everyone in the Tull Community for helping rebuild the Ebenezer United Methodist Church after a fire and everyone enjoyed the singing, dinner and fellowship so much they've repeated the event every year for 132 consecutive years. Yes, they're having a good time! Link to 2017 Regional Events webpage. One more thing... The Sacred Harp Publishing Co. produces a newsletter several times a year. The April issue covers "Never Published Writing on Sacred Harp Singing" and highlights the life and writing of Raymond C. Hamrick. A serious work for those who wish to learn more about Sacred Harp singing. Once on the website, you can look at previous issues, subscribe, translate the text or even set up an RSS feed. Hope to see you at Harrison and some of the other singings in the region. Sing on!! I'm sure everyone marked their calendars for the Shiloh Singers next regular singing which is this Sunday, April 9th from 1:30 P.M. until 4:00 P.M. in the General Store at the Shiloh Museum of Ozark History in Springdale. As usual, visitors are always welcome and hope you'll bring a friend. That also goes for Sunday lunch at Springdale's AQ Chicken House around noon. Just ask for the Sacred Harp Singer's table. Photo: Missouri State Sacred Harp Singing Convention, St. John United Church of Christ, Pinckney Township, MO. Thanks to all the St. Louis hosts and all the singers at the Missouri State Sacred Harp Singing Convention on March 11th and 12th. It's always an excellent event to start the spring and summer singings for those living in the nation's heartland. Hope that all of you will come to sing with us on Sunday and visit with friends. I don't have an accurate headcount on all the folks with plans to attend the Missouri State Sacred Harp Singing Convention in Pinckney Township, north of Washington, MO this weekend, March 11-12, 2017, but it's not too late to bring a few friends to join in the singing and tune up the vocal cords for spring and summer singings. All the details are in the February newsletter posted on the Shiloh Singers webpage or download the PDF flyer from the St. Louis group. One caveat that applies to any travel north and northwest of Arkansas during winter and early spring months (Yes, I'm thinking of Missouri, but any other state north of the Arkansas line too) please check the latest local forecast before you leave just to be on the safe side. You may need to bring an extra sweater this year. February is a short month but things start happening quickly. First on the list is this Sunday's, Feb. 12th, monthly singing in the General Store on the grounds of the Shiloh Museum of Ozark History in Springdale. As usual, singing will start about 1:30 in the afternoon and we'll sing until 4:00 P.M. Visitors and potential singers who want to learn more about Sacred Harp or shape note singing are always welcome. If you arrive in Springdale early, you're always invited to have lunch with other early singers and friends who gather at the AQ Chicken House "around noon" each singing Sunday. Just ask for the "singer's table." I hope our February singing is a good "warm-up" for the next big event which is considered to be one of the best of the early state singing conventions each year and being centrally located, enjoys participation by singers from the Great Lakes to the Gulf of Mexico. Since so many of our local Shiloh Singers attend the Missouri Convention each year, the Shiloh Singers' March singing is declared in recess on March 12th and our next local singing will be on April 9th. Please mark your calendars. The St. Louis Shape Note Singers are well into preparations for the 32nd Annual Missouri State Sacred Harp Convention, March 11th and 12th, and Missouri singers are hoping to see and sing with many friends and friends-we-have-not-yet-met. It is not too early to make your motel reservations for this year's convention - especially since there is a Feb 17th cut-off date at two of the motels where we have secured reduced rates. Here are the reduced rates they have obtained. In all cases, the stated rates are prior to taxes and the group name is "Sacred Harp". Call the motel directly to obtain the reduced rates. Super 8, 636-390-0088: $70 for 2 Doubles or 1 Queen. Best Western, 636-390-8877: $102.60 for 2 Queens or 1 King. Cut-off date for this rate is Feb 17th. Baymont Suites, 636-456-6000: $50/night for either 2 Queens or 1 King. Holiday Inn Express, 636-456-2220: $120/night for 2 Queens or 1 King. Cut-off date for this rate is Feb 17th. Super 8, 636-583-8808: $70 for 2 Doubles or 1 Queen. There are also a large number of Bed and Breakfast establishments in this popular area: www.tinyurl.com/BandBWashMO Note that additional B&Bs will be displayed as you pan across this map. We hope that the wide array of lodging choices will suit any who might want to come. Come sing with us ! Thanks and a hat-tip to Paul Figura for developing and posting the above information. Visit the Google group at https://groups.google.com/group/fasola-singings. While you're marking your calendars, circle or highlight May 6, 2017 which is the date of the Northwest Arkansas Convention at St. John's Episcopal Church in Harrison, AR. 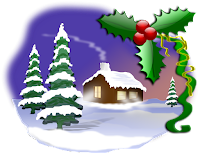 Singing will be from 10:00 A.M. until 3:00 P.M. with a break for a pot-luck lunch. There are more annual singings on tap for the rest of the year. One More Thing: We just got the 2016 Minutes/2017 Directory Books from Judy Caudle in Alabama this week. (Thank you Judy!) We'll be updating the Regional Singings webpage for 2017 in the next several days. Please let me know at Sunday's singing or with an email if you have a special singing in Arkansas, Missouri, Oklahoma, Texas or Louisiana that you want to promote so we can make sure your special event is added to the regional singings list on page 4 on the Shiloh Singers website. We can always add items during the year but we want to continue to promote the local events within easy driving range in our part of the country. The monthly reminder about our Sunday, January 8th, singing at the General Store at the Shiloh Museum of Ozark History is truncated and many hours later than originally planned. OG&E had a power outage Friday afternoon and we were in the second group of homes to be restored over six hours later. However, it gave me a chance to break out a couple of antique kerosene lanterns that still work just fine and turn on the gas logs for warmth and ambiance. Any similar snow storm stories can be exchanged during the break on Sunday. We'll plan on starting at 1:30 P.M. and sing until 4:00 P.M. Those who get to Springdale early are welcome to join the singer's table in the back room at AQ Chicken House around noon. UPDATE: My intent had been to wait until Friday afternoon to include the latest weather information. The first half of the list, A - M, got their late email on Friday night, but transmission was very slow. By the time I got the N - Z list loaded, my computer couldn't find Gmail or Google. Cox Internet and half their TV channels were down. It's now Saturday and Gail Cowart would say, "It really is a beautiful day in Arkansas." I'll post any last minute updates there. As always, be sure to check your favorite source of weather information Sunday morning. The national weather service believes Springdale will enjoy"Sunny" conditions with a balmy 40 degrees by Sunday afternoon, but a very cold 10 degree is expected before daylight. Always check I Drive Arkansas' winter driving conditions at: https://www.idrivearkansas.com/. Click on the blue snow flake icon, and you can see check boxes for both road conditions and what is on the roads. AHTD has one of the easiest to read online state maps reporting driving conditions of all the states between Mountainburg and Yellowstone National Park. It's your highway dollars at work. Check it out before winter travel and stay safe. Hope you're staying warm and that you can join us on Sunday for our January singing.